Celebration is the right term to describe Schlumberger. Since I moved to Vienna, Schlumberger was the sparkling drink we popped of bottles in every party and celebration we had. 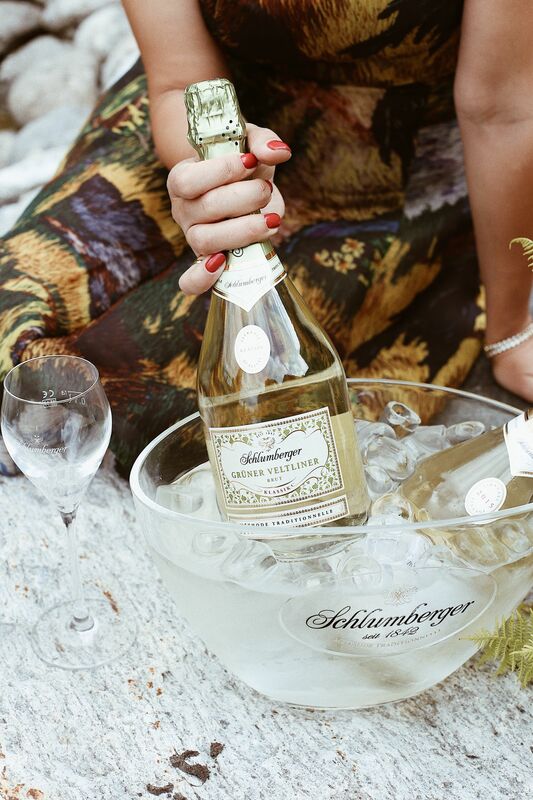 The first thing you should know about Schlumberger is, that the Austrian Sparkling became prized beverage of the Viennese elite society. Every year, Schlumberger sparkling can be found at the world’s most beautiful and elegant ball – the Vienna Opera Ball. The family history of the Schlumberger company started with Robert Alwin Schlumberger, who was born in Stuttgart in 1814. Following the untimely death of his father, Robert was forced to abandon his studies and to become a merchant. This brought him to the town of Reims in the region of Champagne in France, and to a position in the Ruinart Pere et Fils Champagne House, so later he became the chef de cave and was the one who brought the Méthode Traditionnelle to Austria, which is the traditional procedure to make sparkling wine. The Méthode Traditionnelle is the oldest and most complex manufacturing method, so it’s even more impressive that Schlumberger nowadays still uses this method for their whole products. Schlumberger is something truly unique in many ways. There’s an aura and mood surrounding this name that is both precise and mysterious at the same time. It’s a mythic and exciting product that has reached impressive distinction and status until today. This prominence has affected the appellation in specific ways. At the heart of the style, there’s a pursuit of excellence, success and dazzling style. This is why Schlumberger is part of the most celebrated of celebrations and all the excessive rituals and gestures surrounding the appreciation of sparkling showers, impressive pyramids of flutes, even at any modest celebrations. The most memorable Schlumberger moment for me was my master graduation ceremony at the University of Vienna, where I popped over 50 of Schlumberger sparkling bottles during that day. 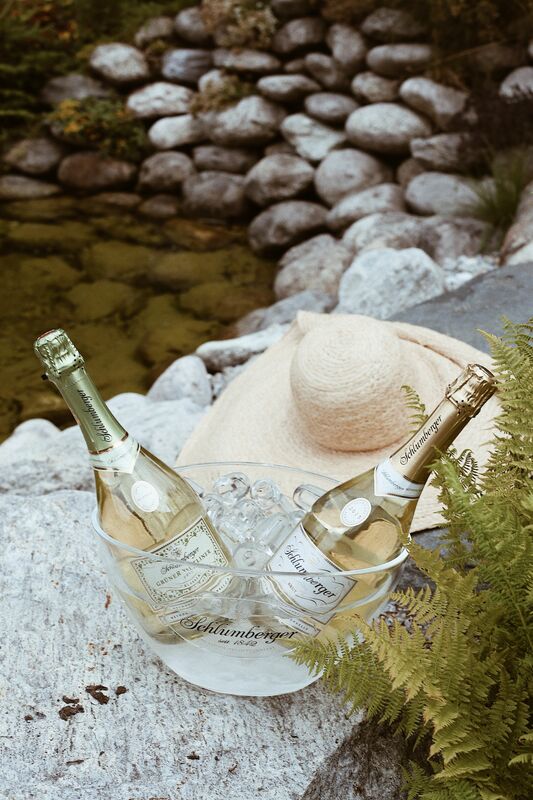 The Schlumberger product range goes from the Classic line with Sparkling, Grüner Veltliner and Rosé Brut, to the Schlumberger Reserve Specialitites like the Prestige Cuvée, which comes from the heart of the winemaker and offers a tasty experience in many ways. 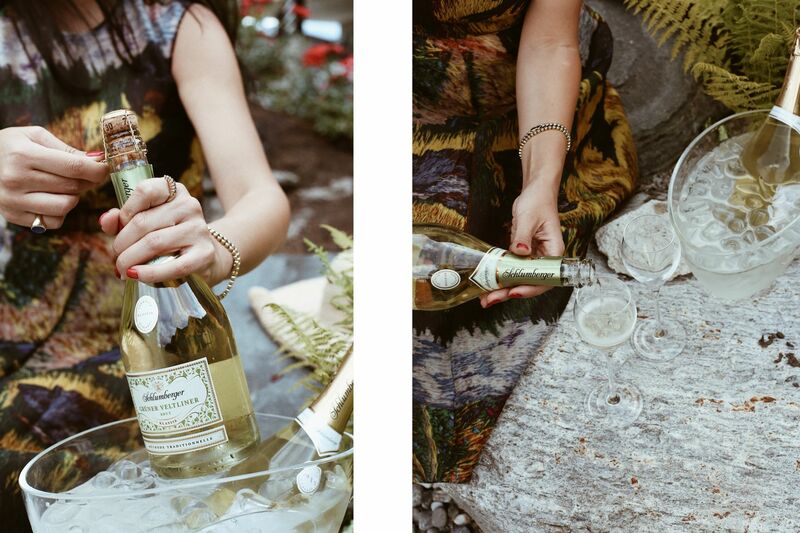 It goes from the Pinot Blanc without dosage, to the typical varietal taste of Chardonnay and the fruity, elegant Blanc de Noirs produced from black grapes gently pressed white. Here I want to show you my favorites of the Schlumberger Classic line, that have a fruity-spicy intensity with a magnificent taste. These sparkling varieties are also produced according to the “Méthode Traditionnelle” with the secondary fermentation occurring in the bottle and followed by hand-riddling. 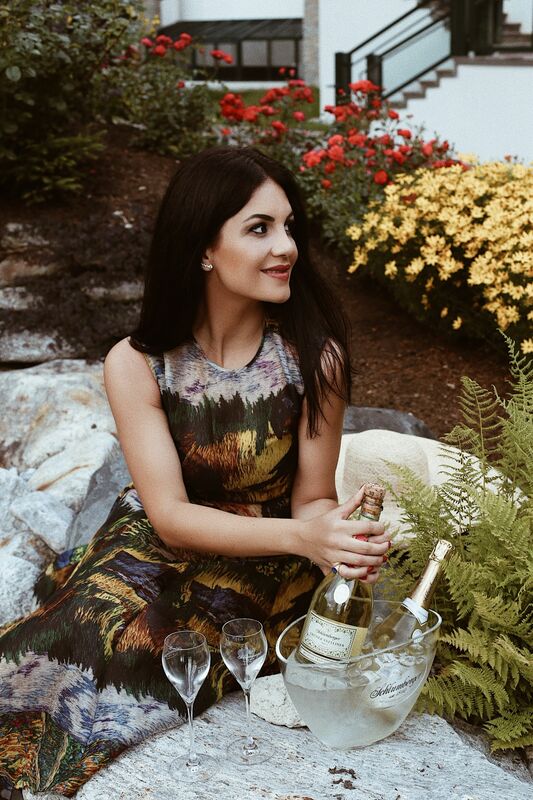 One of my favorites is the Grüner Veltliner Classic, made from the popular Austrian white grape variety as a single-varietal Schlumberger. 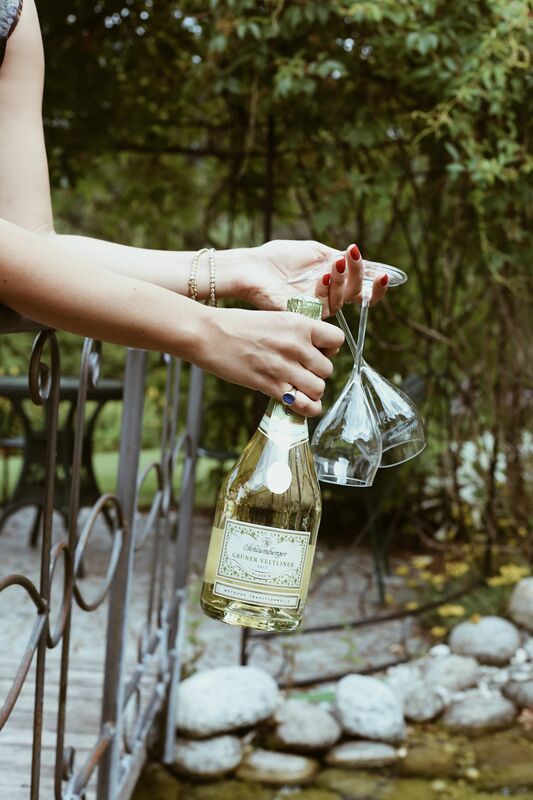 Noble, fruity-spicy intensity is the result of the rigorous selection of Grüner Veltliner grapes from one single vintage for this Schlumberger speciality, so the Schlumberger Sparkling blend of Welschriesling, Chardonnay and Pinot Blanc is my favorite too. 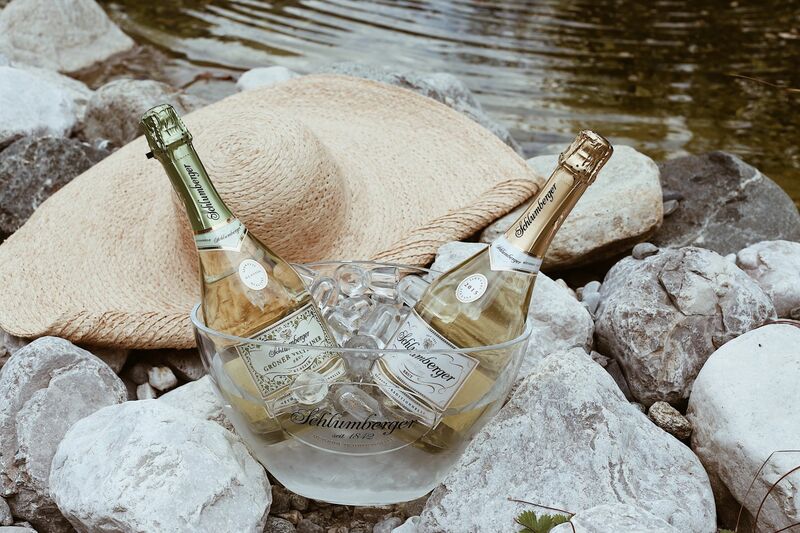 Beat the heat with an ice-cold Schlumberger Sparkling that does the trick. 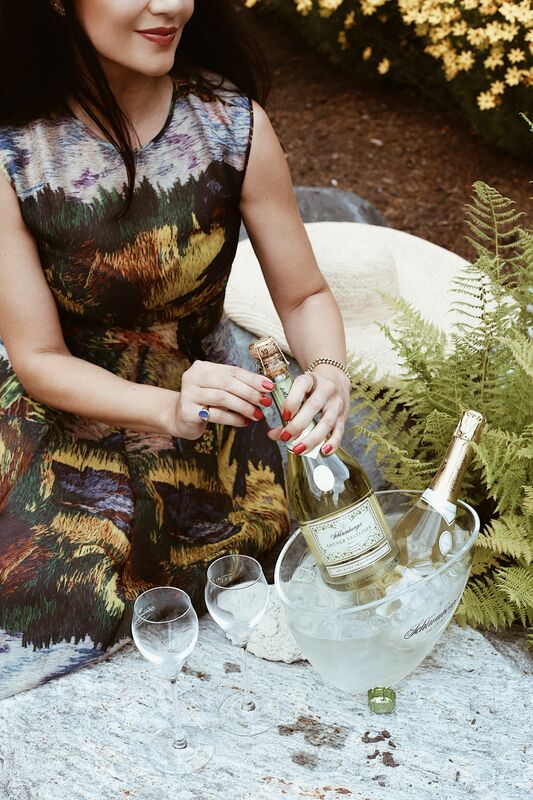 This calls for evening drinks and stay cool during warm summer nights. Chin-Chin!